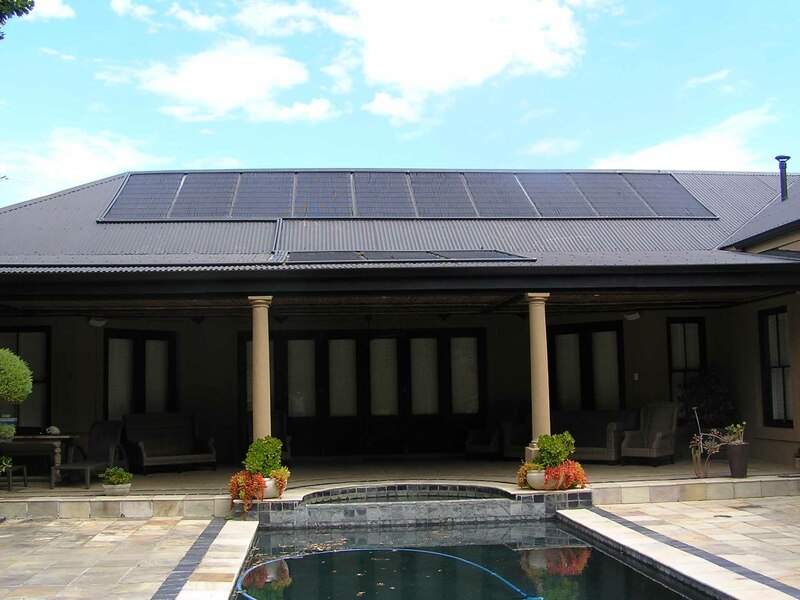 Solar: Extend the use of your swimming pool for an extra few months a year with the sun’s energy/heat. 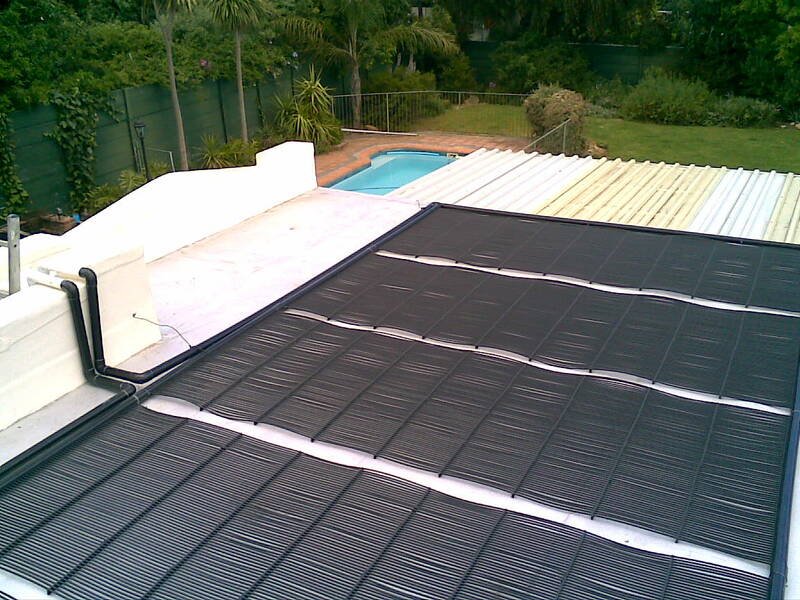 How does solar pool heating work? 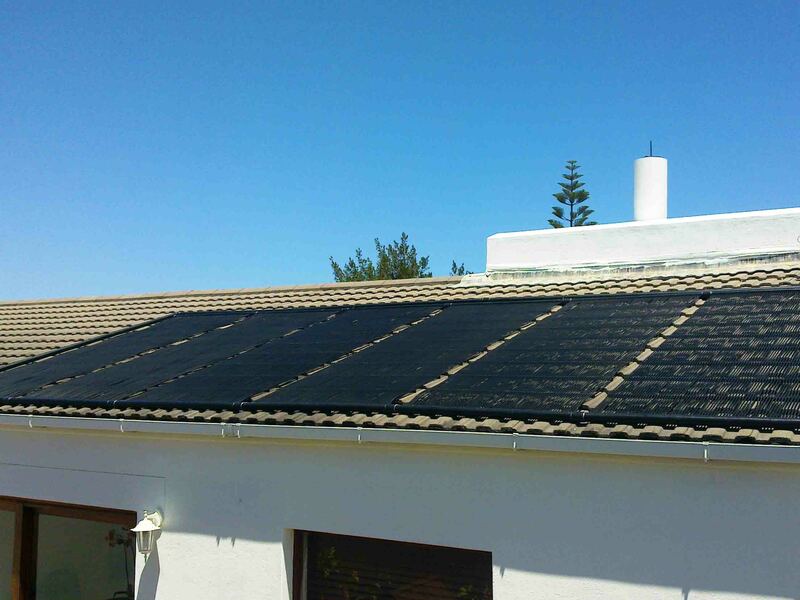 The cold water from your swimming pool is pumped through the solar pool heating panels which are installed on the roof of your house (on the north facing side of the roof). 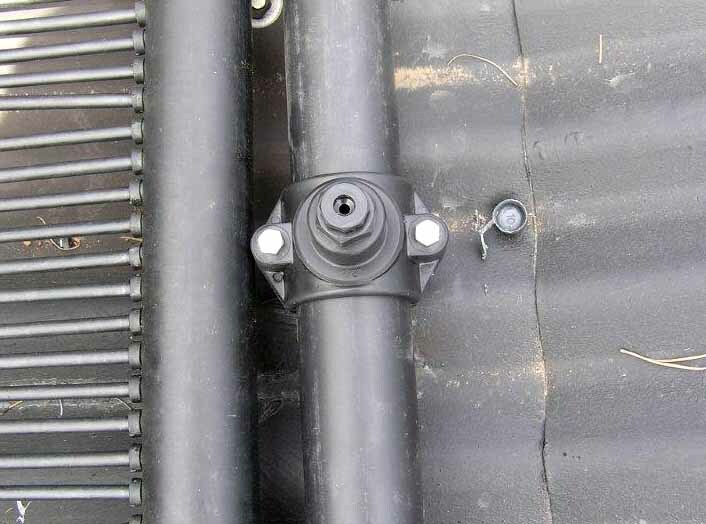 The heated water from the panels is redirected through a closing valve back into the existing piping leading back to your pool. The water is circulated for the whole time while the pump is running. Your existing pool pump is used, therefore no additional cost is incurred. Keep in mind that the higher the watts, the more electricity your pump will use. A 0.75kW pump is sufficient for most swimming pools (for both the pool cleaning/filtering and circulating the water through the solar heating panels). If you are unsure, you are welcome to give us a call. 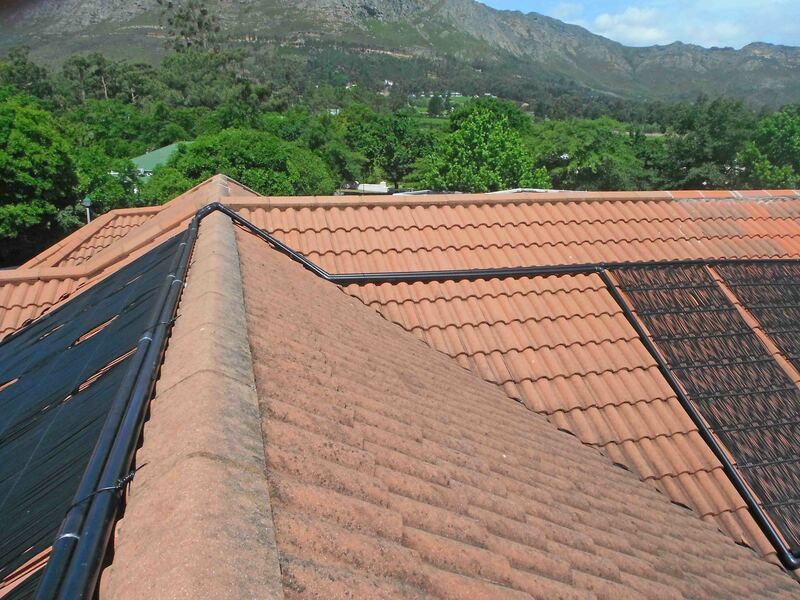 You want to have your solar pool heating panels installed on the roof of a double storey house…. please note! 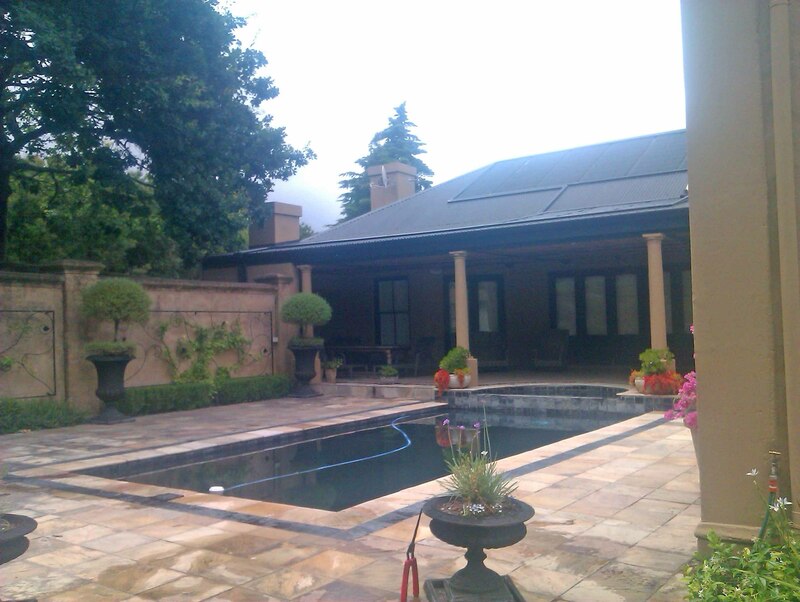 We recommend a 1,1 kWh pool pump for best results. 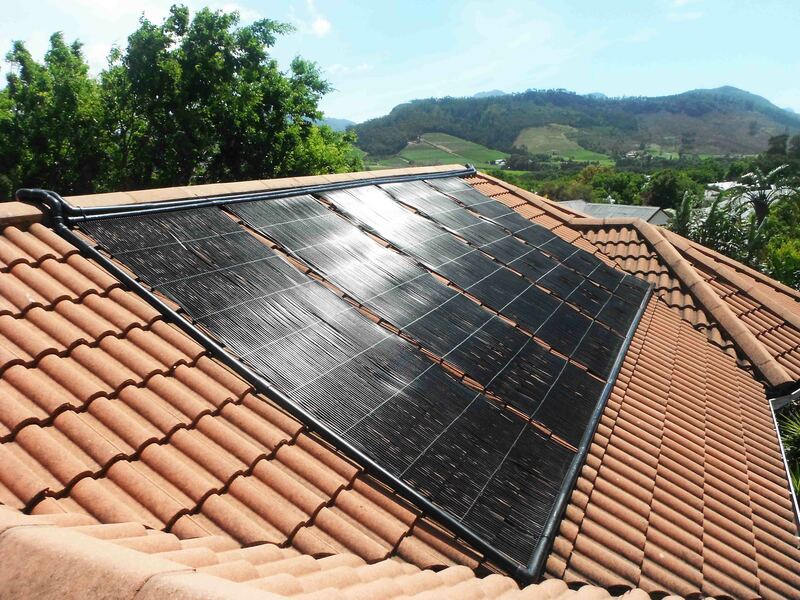 This is not to say that the 0,75 kWh pump will not work but rather that the solar system efficiency will be reduced by using a 0.75 kWh pump. 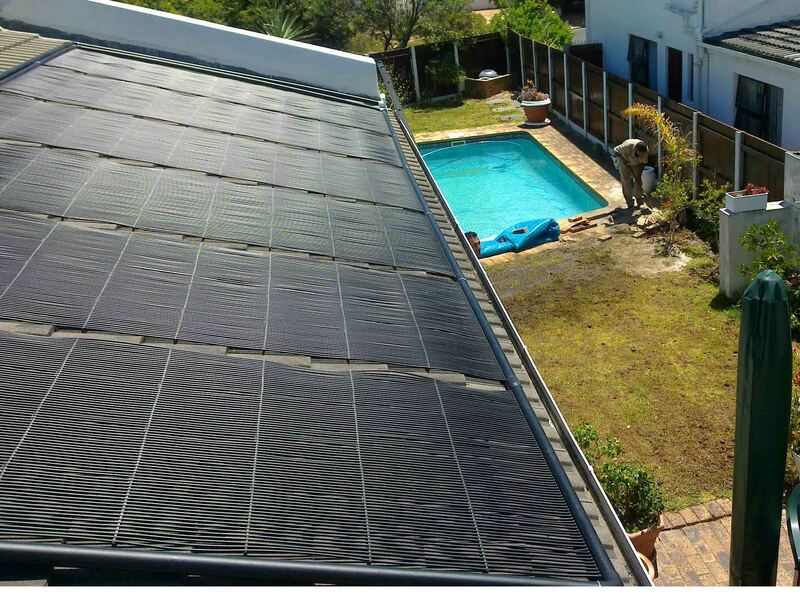 How many panels do you need for solar pool heating? Measure the length and width of your pool. 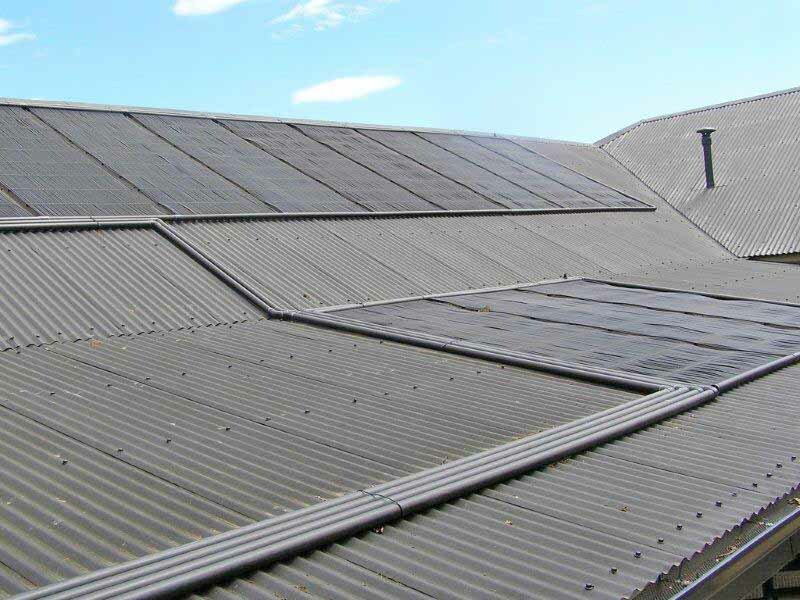 For example (4 meters x 8 meters = 32 meters) divided by 3.6 will indicate that you would need a north facing area for 9 panels of 1.2 meters in width and 3 meters in length. 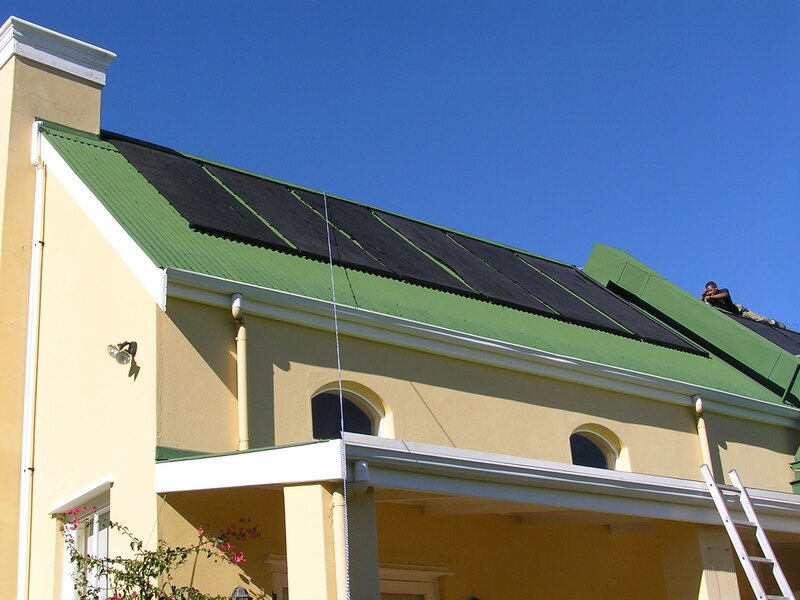 We also offer heat pumps as a solution where the solar pool heating won’t suffice (where a much higher temperature is required during winter months). 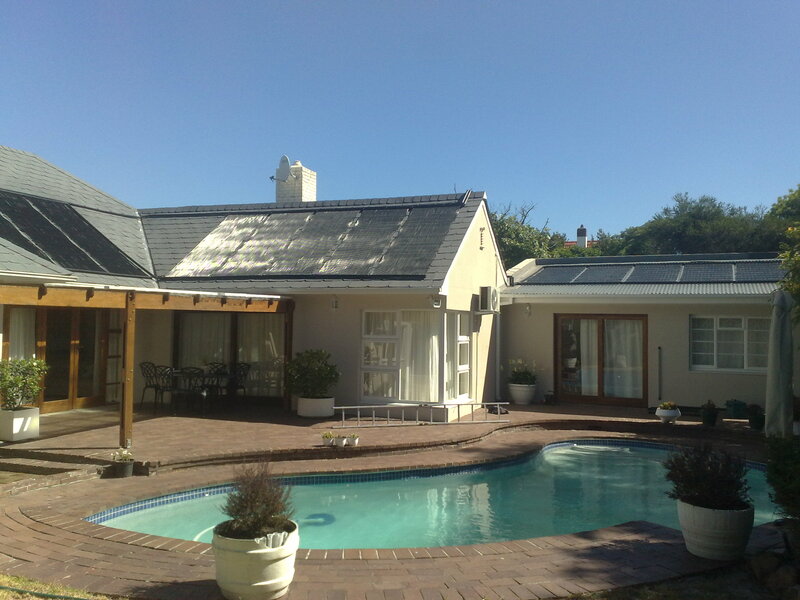 Contact us for a free quotation (Cape Town and surrounding areas) on solar- or heat pump pool heating installation.